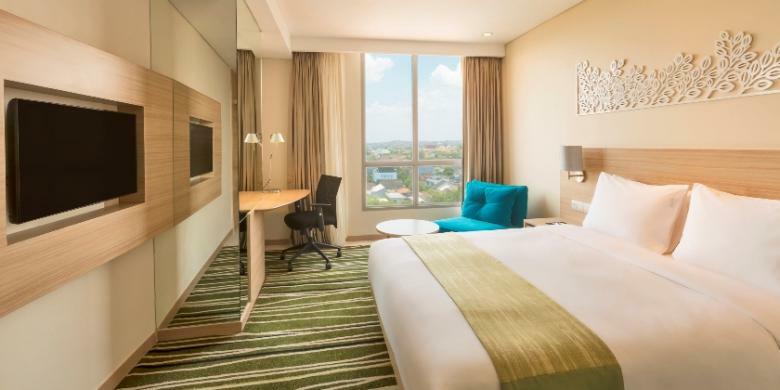 The Intercontinental Hotel Group introduces its first Holiday Inn Express brand in Indonesia with the completion of HIEX Semarang, inaugurated last month by Governor Ganjar Pranowo of Central Java. PTI Architects’ Pris Marzuki, Technical Director and Yofianto Soetono, Interior Design Director and their teams delivered a complete service for architecture and interior design which will serve as the benchmark for succeeding HIEX hotels in Indonesia. Courts Asia Limited, one of the leading retailers of digital and electronic products, home appliances and furniture in Singapore and Malaysia, enters Indonesia with their first Megastore in Bekasi. Comprising of about 13,200 sqm of retail space, it will become a major player in the retail industry in Greater Jakarta. PTI Architects joins the Council of Tall Buildings and Urban Habitat (CTBUH) upon the invitation of Dr. Antony Wood,a former employee of the Jakarta office who is presently its Executive Director. CTBUH’s non-profit mission is to work with the world’s industry leaders in building and construction in undertaking researches, taking part in working group discussions and disseminating information on best practices on tall buildings and sustainable cities through various channels such as events, publications, the CTBUH journals and website. PTI Architects as part of its thrust towards continuous professional development welcomes this opportunity and looks forward to active involvement with the Indonesian Chapter. PTI Architects’ management and staff enjoyed a weekend of bonding and feasting over the rich cultural and architectural heritage of Jogjakarta. During the course of the weekend, the team visited Borobodur, Taman Sari, the Ullen Sentalu Museum and enjoyed the Ramayana Ballet Performance set against the dramatically-lit Prambanan Temple. Booked at a hotel near Malioboro,everyone went shopping-galore and sampled local Javanese cuisine such as Nasi Gudeg, Beras Kencur, Jamur dishes and Kopi Joss. This PTI tradition of coming together to appreciate each other’s presence and role in forging a stronger future remains one of the highlights of the year! This year’s World Architecture Festival held in Singapore brought together a global network of more than 1,750 architects. Alongside, the World Festival of Interiors took place in the same venue. A delegation from PTI Architects’ which included Doddy Tjahjadi, Managing Director, Yofianto Soetono, Interior Design Director, Aditya Fitrianto, Associate and Andreas Prabowo, Senior Interior Designer attended this special event and learned from leading innovative and influential thinkers in the global architecture and interior design community. Lastly, this occasion brought together key management and staff of the Peddle Thorpe Offices around the world to renew its ties and to strengthen its collaborative spirit in delivering projects of quality and lasting merit.